Largely thanks to goalkeeper Michael Stone, Boca Raton FC was able to capture an important away point against Miami United in last week’s NPSL encounter. As the Boys in Blue travel north to take on Jacksonville, Michael Stone is our player to watch. In 10 games for Amherst, Stone played 707 minutes, conceding only nine goals. Allowing only 1.15 goals per 90 minutes, Stone’s shot-stopping efforts consistently provide his team an opportunity to win. Stone’s strengths include commanding the backline and collecting aerial balls. The Gianluigi Buffon fan is working to improve his ball distribution, specifically the distance of his goal kicks and side volleys. 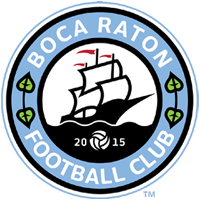 Listen to the game live on Boca Chamber Radio! Kickoff is at 7:00 p.m.